GCU Business offers a portal to the expertise, technology and skills available for business at Glasgow Caledonian University. Offering tailored support in developing innovative, profitable and sustainable solutions, we are the university’s driving force in reaching out to and engaging with business. We are based within the Department of Research, Innovation and Enterprise at GCU. By developing collaborative relationships with corporate, public and third sector clients we bridge the gap between the expertise, technology and skills available at the university and your business need for innovative, profitable solutions. Our three main areas of expertise are in providing tailored education programmes, solving business problems through consultancy and supporting sustainable workplace practices through social innovation. 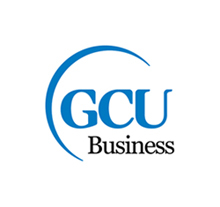 Find out more about GCU Business. Get in touch and we’ll guide you through our process and also provide you with examples of what we’ve done for other organisations. You can also view our Exchange magazine or visit our Case Studies site.